Photo by Peter Lee, Record Staff. 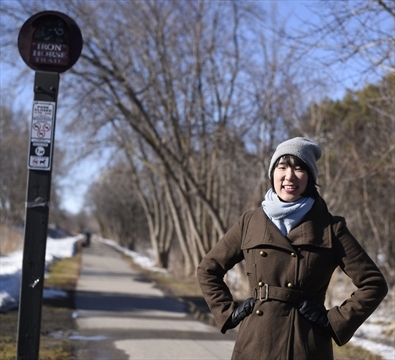 Janice Lee is Kitchener’s new artist in residence and she plans to gather people’s stories at gathering places throughout the city, like the Iron Horse Trail. KITCHENER — Janice Lee is looking for Kitchener’s myths. 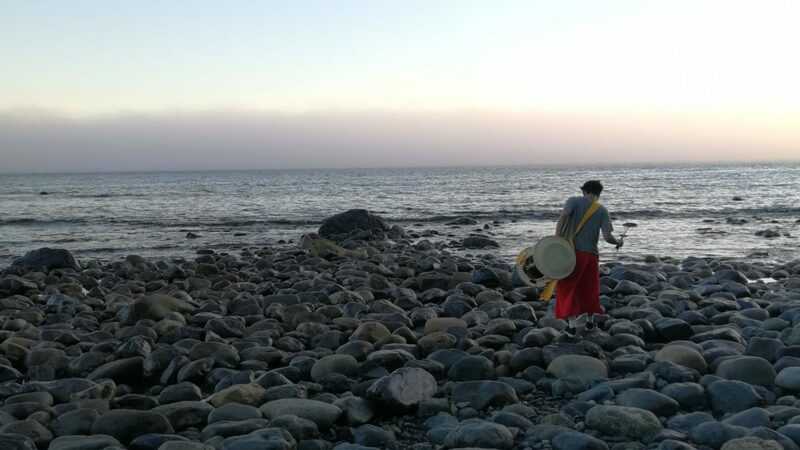 The folk artist and story teller has been named Kitchener’s artist in residence for 2015, and beginning this spring she will be visiting a number of gathering places in Kitchener and collecting stories from the people she meets there. The stories and anecdotes she hears from people will be the inspiration for four poems she will write about the sites. She’ll then return to each site and videotape ordinary people reciting a line or two of the poem, so that the final tape of each poem will be a collage of different faces and people telling a story about that place. The four poems will be centred around four general areas: the downtown, the city’s five library branches, the Kitchener Market and the Iron Horse Trail that runs 5.5 kilometres along an old rail bed from Ottawa Street to Erb Street in Waterloo. Expect to see her at downtown events, such as the Blues Festival, Summer Lights, or the arts market, or on her bike around town, asking people to tell their stories about why they go to the places she’s highlighting, what they think about a spot’s energy, whether anything special has ever happened to them there, what specific things they treasure about a place. “I think it’ll be really fun,” said Lee, who is also the artistic director of the KW Poetry Slam and an outspoken arts advocate. As a storyteller, she’s most interested in hearing the stories and memories that other people share about places she feels are important, too. “I love living in Kitchener. I feel really strongly rooted here, to the physical space,” she said. She hopes to hear about people who had a chance meeting that turned into a great friendship, or about why people love a place and why it’s important to them. “I’m just really looking forward to meeting people and hearing their stories, and hopefully being true to the spirit of the city,” she said. The poems she write will try to capture some of the energy and stories she hears, and create a slice of contemporary history as it’s happening. This year marks the first year the artist-in-residence program expanded to include performance artists, but Lee plans to include a visual element in her project, by commissioning local graphic artists to create posters based on each of the poems. The posters and the videotaped poems will all be disseminated on the city’s social media networks, with the poems being released over the course of the year. Over the years, artists ranging from sculptors to photographers and digital storytellers have brought their art to the people of Kitchener, and allowed people who might never think of setting foot in an art gallery to experience local art. The program provides artists with city resources and encourages them to bring art to city events and facilities. It has also resulted in the commissioning of several pieces of art now on display at city facilities. Lee will receive an $8,000 honorarium and $2,500 to cover expenses.